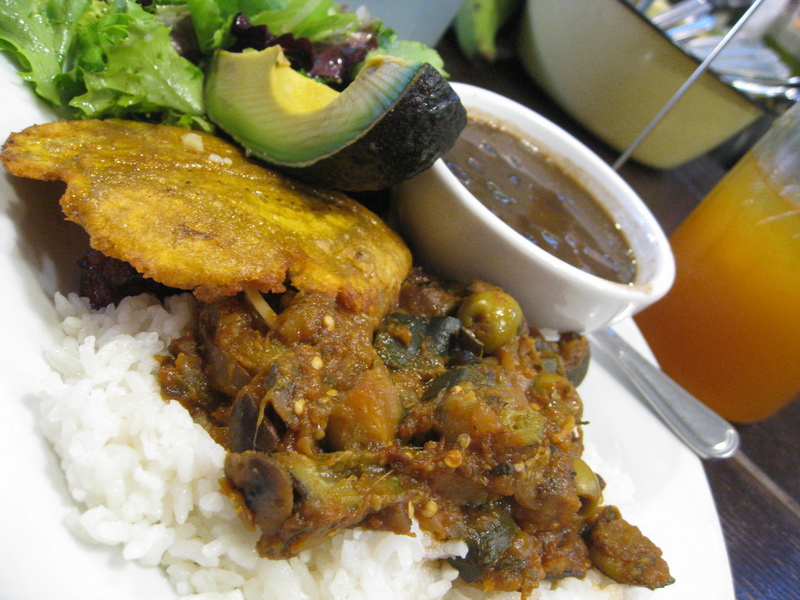 Puerto Rican food is a mixture of African, Taino, and Spanish influences. They have their own take on creole food, which they call cocina criolla. This cooking style is not only popular with locals; tourists also frequent Puerto Rico to experience authentic creole dishes, as well. The country of Puerto Rico has different types of dishes that have become part of the locals’ daily diet. One is called pastelon de carne, which is a pie made of meat such as ham and/or pork. You can buy these at restaurants and shops lining the streets, and some creative cooks have even placed a Puerto Rican flag on top of it as décor. Another favorite is carne frita con cebolla, which is made up of beef and onions. Then there’s chicken with rice, or Arroz con pollo, which is quite popular, as well as other chicken dishes like sour chicken or broiled chicken. A Spanish-inspired omelet with potatoes and onions is called the Tortilla Espanola. Puerto Rican meals are also known for its extensive use of beef tongue, brains, and kidneys. Interestingly, daily Puerto Rico dining normally includes appetizers. Some appetizers that are favorites of locals are empanadillas or turnovers with crab or lobster filling, and bacalaitos or crispy fritters made with cod. They also serve soup like sopon de pescado, which is fish soup, and sopon de pollo con arroz, or chicken rice soup. Then there’s the asopao, the most traditional appetizer, made with chicken, peppers, onions, garlic, tomatoes, and pimientos.